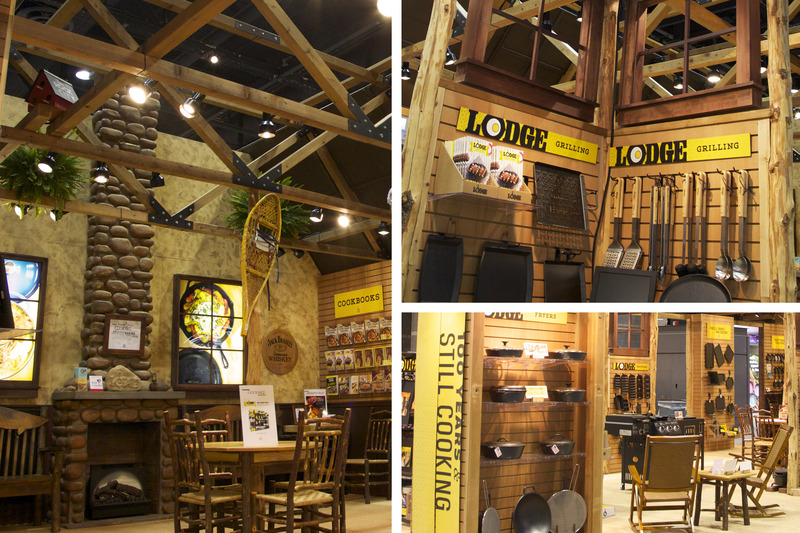 Our clients’ exhibits were cooking at the 2015 International Home + Housewares Show (IHHS). 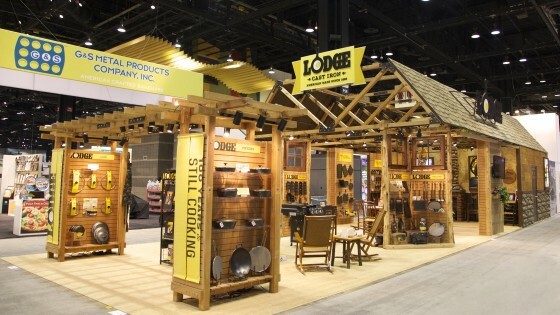 Located at Chicago’s McCormick Place on March 7-10, the 118th IHHS showcased the most innovative houseware products on the market. DesignCentrix is a veteran of IHHS, having gone every year since our inception. 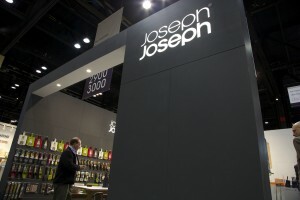 This year, we helped three companies find their spotlights at the event: Chef’N, Lodge Manufacturing, and Joseph Joseph. DesignCentrix has worked with UK-based creative agency HBM since opening our doors and we’ve had the opportunity to partner with them on several exhibits. In 2010, we teamed up with them on the Chef’N account, and over the past five years, we’ve updated their original 30’x30’ structure to match their business’ growth and product line expansion. For this IHHS, we collaborated with HBM’s design direction to add 5’ of space to the booth along with new graphics to freshen up the look. For an additional meeting area, a versatile conference space was created allowing for both privacy and an open atmosphere, separated by uniquely branded sliding doors. Along with Chef’N, Lodge Manufacturing has also put their trust in DesignCentrix for years. Their 20’x60’ booth that is showcased today was originally designed several years ago, and we have continued to update and maintain that structure for the past five years. We also had the opportunity to work with a new London-based client, Joseph Joseph, at this year’s IHHS. Collaborating with one of their Merchandising and Display designers on the exhibit, we executed the entirety of their 22’x40’ booth. The structures were a combination of merchandise walls, meeting rooms, and storage that surrounded an open promotional area. Accent lighting placed on beams connected these three large elements. 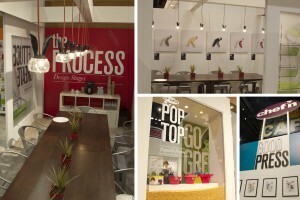 As our 14th year at IHHS, we were excited to see three very different exhibits come to life. We congratulate all of our clients on a successful show, and we look forward to seeing what next year will bring.